OKANOGAN, Wash. — It’s “outrageous and hypocritical” that the federal government imprisoned two Oregon ranchers for a backburn that got away from them and burned a little over 100 acres of public land while federal and state agencies backburned thousands of acres of private land in Okanogan County last summer and were not held accountable, the president of the Okanogan County Farm Bureau says. “My definition of homeland security is America’s ability to feed itself. There is nothing more important. America has to stop the war on agriculture,” said Nicole Kuchenbuch, a rancher and county farm bureau president. “If this nation’s farmers and ranchers are forced out of business, America has succeeded in staging her own famine,” she said. “The media tendency is to turn things into racial or socio-economic issues and vilify ranchers as a bunch of ignorant honkies. It’s important to realize the American government is oppressive to all colors of people and everyone just wants to be free, healthy and prosperous,” she said. Incidents like ranchers and militia occupying the seasonally closed Malheur National Wildlife Refuge near Burns happen when people feel so “abused” by government that “they feel they have no other choice,” Kuchenbuch said. “I don’t agree with having a standoff, but they captured the attention of the United States,” she said. The resentencing of Harney County ranchers Dwight and Steven Hammond to five years in prison is just one of many examples throughout ranching areas of the West in the last several decades of the heavy handedness of federal agencies in acquiring more land and squeezing out ranches to satisfy environmentalists who want a national park from the Yukon to Yellowstone, Kuchenbuch said. The government agencies deny squeezing ranches. It’s not coincidence that agencies have bought many Okanogan County ranches and that there have been problems between the government and ranchers in Nevada and other Western states, she said. “We believe they are systematically squeezing us out. They use every means possible. Direct buyouts, conservation easements, fire, sage grouse and wolves. The Endangered Species Act. Sometimes they pay 10 times the market value and every parcel sold jeopardizes those left,” Kuchenbuch said. “We do not trust that they will leave people alone, as witnessed with the Hammond family,” she said. A couple of dozen ranches have been burned out by wildfires that burned more than 1 million acres of Okanogan County in the past two summers. State and federal grazing allotments cover 50 to 80 percent of that, Jack Field, executive vice president of the Washington Cattlemen’s Association, has said. 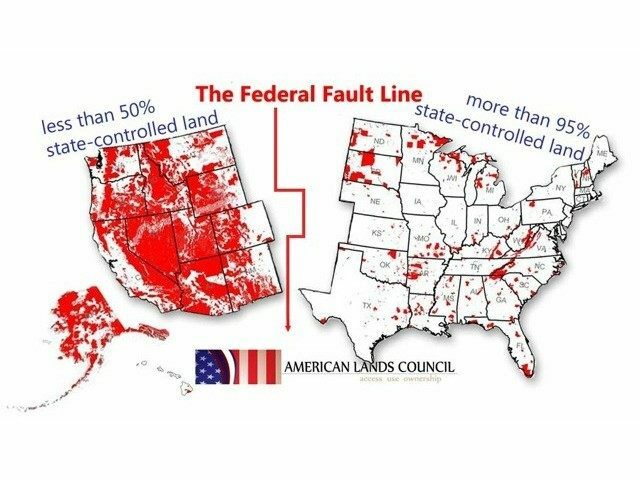 Ranchers are hard-pressed to find grazing land. One-third of 600,000 acres burned in the Okanogan, Tunk Block and North Star fires in 2015 was caused by agency backburning, Okanogan County Commissioner Jim DeTro has said. Ranches in several parts of the county lost private timber, grazing grounds, hay, barns and equipment to agency backburning that ranchers opposed. Kuchenbuch, her husband, Casey, and her father, Rod Haeberle, fought a fire alongside firefighters on their ranch last summer and begged them not to backburn 1,000 acres of their private land. The agency did it anyway to protect homes but destroyed Haeberle Ranch timber, miles of fencing, the family’s mountain cabin and a set of corrals. “We were told afterward that there is no restitution for our losses,” Kuchenbuch said. Backburning is so touchy that agencies don’t talk about it on their radios, rather commands are given in person, she said. The homes could have been protected had the U.S. Forest Service allowed the Kuchenbuchs and Gebbers Farms to continue building a firebreak from private ranch land onto forest service property, she said. But the agency never fought the fire offensively, only defended homes, she said. The forest service has said it doesn’t attack fires when it’s not safe to do so but that its goal in the Okanogan was to put them out. Protecting towns was the priority and fire resources were spread so thin that rural residents were left to fend for themselves in many places, Kuchenbuch said. When that happens, they don’t have time to wonder whether a backburn they do or other efforts are legal, she said. “We are forced to defend ourselves in any manner we know. If the Hammonds (in Oregon) are arson-terrorists, then so were a whole lot of people up here including the agencies and civilians who did whatever they needed to save their property,” she said. “It’s hypocritical for the government to employ the same practices they convicted the Hammonds of,” she said. The Hammonds, who have already served sentences in jail, should be pardoned, she said. Click on the Map to Take Action!